Ships today if you order in the next 13 hours 1 minutes. Here's another example of how real food can help address real health problems. 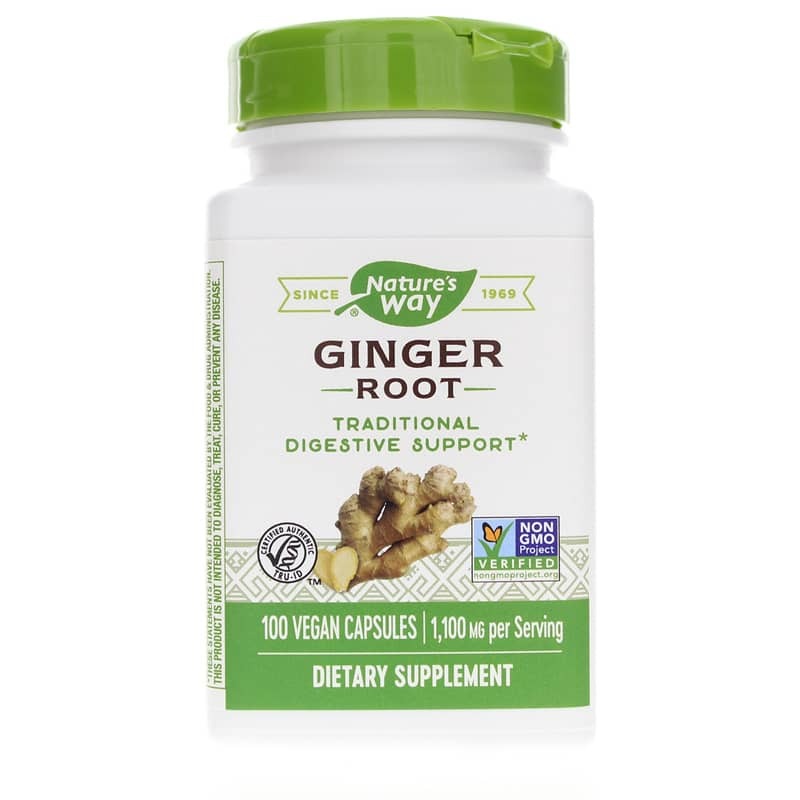 Ginger Root from Nature's Way is an herbal supplement formulated to support more comfortable digestion. For many years, ginger has been used to ease digestive distress. It could help relieve nausea including morning sickness. It may also be helpful for those who experience gastrointestinal issues or queasiness when traveling. 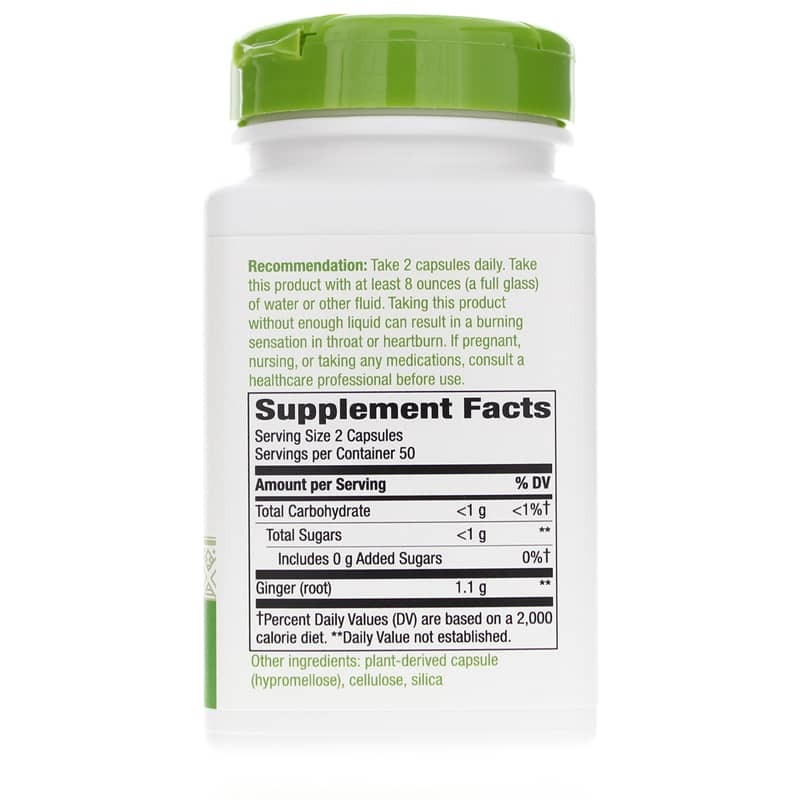 This supplement contains a guaranteed 1.3% of the aromatic essential oils gingerol and shogaol. Researchers believe ginger may not only work in your stomach and intestines to relieve nausea, it may also have an impact on your brain and nervous system - helping control those sickening feelings that could be psychological. Try Ginger Root from Nature's Way. Find out if it can help settle your stomach and give you the relief you've been looking for. Other Ingredients: plant-derived capsule (modified cellulose), cellulose, silica. 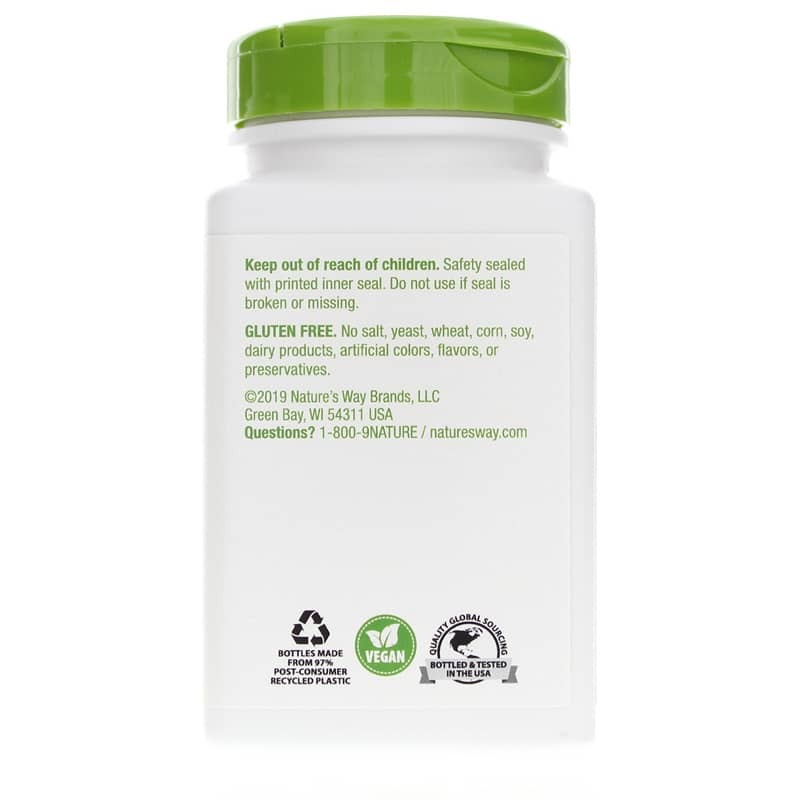 Contains NO: GMOs, gluten, sugar, salt, yeast, wheat, corn, soy, dairy products, artificial colors, flavors or preservatives. Vegetarian. Adults: Take 2 capsules daily. Take this product with at least 8 ounces (a full glass) of water or other fluid. Taking this product without enough liquid can result in a burning sensation in throat or heartburn. If pregnant, nursing or taking any medications, consult a healthcare professional before use. Keep out of the reach of children.